Isn't she sweet? 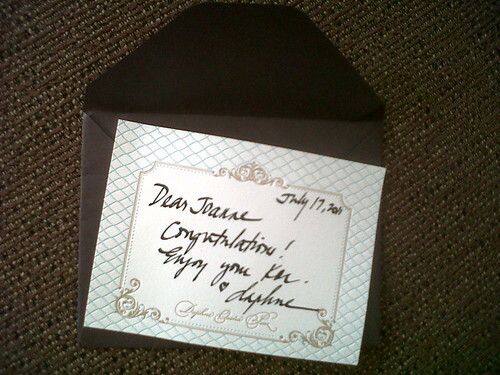 Thank you again Ms. Daphne for the note and the prize! 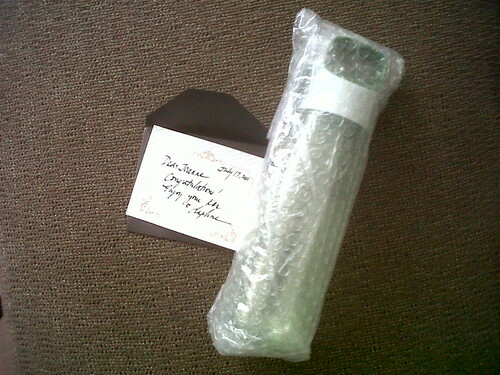 I can't wait to join again on your blog giveaways (I think I did join the latest which is a pair of Versace eyewear). I'm crossing my fingers for this one.